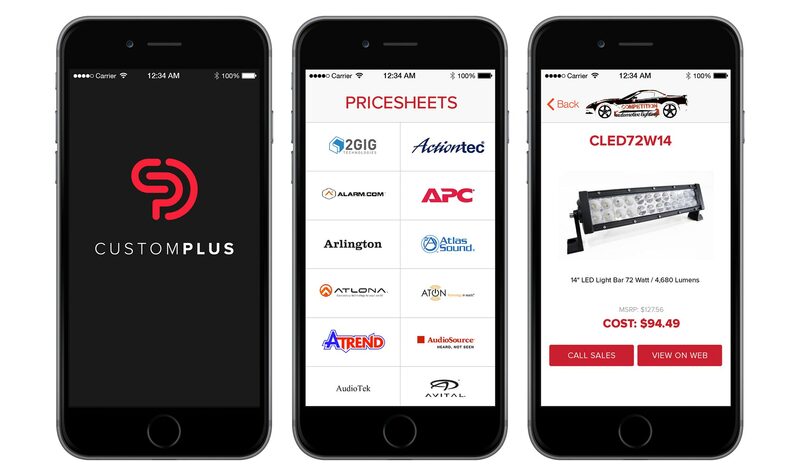 Custom Plus Distributing was in need of a way to effectively and effeciently put product in front of their customer base who are largely mobile. A use case was brought up by an outside salesman at Custom Plus in which he painted the picture of a custom integrator who was down in the crawl space of a house, and realized that he forgot a certain part. It isn't likely that that person is going to wait until he get's back home that night to order the part when he needs the part to complete the job that day. This need is common within the industry and is what spawned the need for an easy way for customers to see what Custom Plus has, as well as place the order for the part right there in the phone.